April 2010 | MMA Fighting Events Videos Techniques UFC Fight Picks and News. The WEC has put together a nice MMA fight card for this Saturday night. The main event pits a former WEC champ and fighter that dominated the 145 lb division for three years Urijah Faber, up against Fight Magazine fighter of the year for 2009 and current WEC champ Jose Aldo. This fight has the makings of fight of the year for 2010. 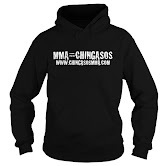 Chingasos, submission attempts, wrestling and everything else related to MMA is sure to be showcased in this one. I'll be taking Jose Aldo over Urijah Faber since Aldo has done nothing but dominated in the WEC and knocked everyone out that the WEC has put in front of him. The WEC is not holding back on this card. They also have Donald Cerrone matched up in a rematch against Ben Henderson. Many MMA fans considered their first fight, fight of the year in 2009. And just in case that's not enough, they matched up former WEC champ Mike Brown up against an Ultimate Fighter Show (TUF) star Manny Gamburyan. 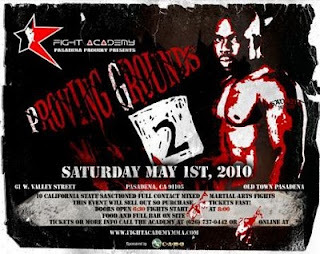 Thanks to Savant Young, The Fight Academy and the success of Proving Grounds 1, (the first MMA event ever in Pasadena), Proving Grounds 2 is set for May 1st. It is officially sold out, but there's a rumor that there might be a few tickets left in reserve. If you're interested in checking out the event, you can visit www.FightAcademyMMA.com. If you can't make the event, but you're interested in training at the Fight Academy, I would highly recommend it. See the "Coach Rollie Likes..." feature at www.FatX101.com. The heel hook is one of those submission that can not only end an MMA fight, but can cause serious injury and end a career. The heel hook submission done properly puts a lot of strain on the knee and will tear ligaments quickly if you don't tap on time. Check out the free MMA video of Masakazu Imanari vs. Jean Silva. After trading some chingasos, Imanari slaps on the dreaded heel hook submission. Ouch!! Here's a free video of MMA legend Bass Rutten demonstrating how to perform the heel hook submission. Check it out! The heel hook can be a dangerous submission technique. If you're in the Los Angeles area, stop by on of the great MMA (Mixed Martial Arts) Gyms and get some hands on instruction on how to properly perform the heel hook as well as how to safely practice the technique. Check out our Los Angles MMA Gyms article. The biggest organizations in MMA have had some lack luster title fights recently. The UFC had two at UFC 112, and Strikeforce this weekend had three. What's going on? Is it that the sport is becoming so popular now that the fighters at the top are reluctant to be aggressive and take chances? Is it just bad match ups? I'm confused and I hope that this trend does not continue. The event put on by Strikeforce this weekend wasn't as bad as the last UFC, but it was still disappointing to watch as an MMA fan. Especially as an MMA that is trying to turn on casual fans on to the sport. All three title fights, Gegard Mousasi vs Muhammed "King Mo" Lawal, Gilbert Melendez vs Shinya Aoki, and Jake Shields vs. Dan Henderson went the distance. That's not always a bad thing, but in this case it definitely was. Exciting moments in these fights were few and far between. The WEC has an event this Saturday that will be headlined by Jose Aldo vs. Urijah Faber and then UFC 113 on May 8th will be headlined by a title match between Lyoto"The Dragon" Machida vs. Mauricio "Shogun" Rua. I hope that these two fight cards will feature more finishes, crowd pleasing moments, chingasos, submissions and finishes so that MMA can showcase itself as the exciting and spectacular sport fans have come to love. One way for a submisson or ground and pound specialist to get a fight to the gound comes from getting double underhooks and then performing a throw/takedown. Check out Julie Kedzie vs Tonya Evinger in an MMA fight. Tonya gets it to the ground and then finishes with the rear naked choke. Here's an in depth instructional on how to use the double underhooks to get the throw/takedown. Here's another woman's MMA fight where the double underhook technique is used to perfection to get the fight to the ground and then an armbar finish. Some people call it the anaconda, some call it the gator roll. The best description I've heard is that the anaconda is the choke, and the gator roll is what helps tighten up the submission. In any case, here's a fight video from Rio Hereos that shows the anaconda submission technique in action. Chingasos and then the submission. Here's another free fight video with Carlos Monzon finishing an MMA fight with the anaconda submission. Now that you've seen it in action, here's a couple of nice free video intructionals on how to perform the anaconda submission technique. Here's the anaconda submission in more MMA action. Check out the free video. If you want to learn the anaconda submission technique and more Mixed Martial Arts, check out Los Angeles MMA Gyms. UFC 112 was probably the biggest disappointment in UFC history and quite possibly MMA. It had all the makings of a great card. On paper it was stacked, two tittle fights and a legends fight. Unfortunately, It was, well....horrible. Let's start with the statement from the UFC president Dana White, “I don’t think I’ve ever been more embarrassed in 10 years of being in this business. It’s the first time I’ve ever walked out of a main event.” I just wanted to put that out there so MMA fans know that I'm not just being overly critical. So let's start with that horrible main event. It looked more like a clown show than a fight. Most fighters understand that this business is entertainment, but that it revolves around actual fighting and the sport of fighting. Dancing around, mocking your opponents, slapping the mat and running around in circles for 25 minutes isn't what MMA fans paid big money to watch. How about actually engaging in a fight next time? Anderson "The Spider" Silva acted like a fool and embarrassed himself, the sport and his employer (The UFC). Good luck trying to win your fans back Silva! I'd rather watch his opponent Demian Maia fight over Silva any day. What was wrong with BJ Penn? That's a question many fans are asking after his performance Saturday night. He didn't look like himself. He looked a little flabby going into the fight. Was he injured and not able to train? I'm not making excuses, he lost and that's that, props to Frankie Edgar for being faster and able to get in and out without taking major damage. Either way, the scoring seemed a little off, but when a fight goes to a decision, the loser can't really be mad because he allowed the fight to get to the judges. The legends fight between Matt Hughes and Renzo Gracie went as I expected it to. It was somewhat conservative with neither fighter taking many chances. I thought Gracie did a good job of outboxing Hughes, but the surprise came in the 3rd round when Gracie seemed to gas and almost seemed to want to give up after some strong leg kicks from Hughes. Hughes finished Gracie off and definitely made Gracie look like a 43 year old fighter that hadn't been in the ring/cage in a few years. The UFC usually puts on good cards, hopefully the fighters on the next card learn from this and put on good, exciting performances. I expect plenty of chingasos next time. This Saturday MMA fans are in for a treat. The UFC has put together a nice fight card for UFC 112 Invincible. There are going to be two title fights and also a match up with two MMA legends. One of the title fights is going to be Anderson "The Spider" Silva defending his title vs. Demian Maia. Most people are picking "The Spider". He's undefeated in the UFC and everyone would agree that he has all the tools to be a great champ. Unfortunately, some of his fights, even though he's won, have not been exciting. He has been passive and unimpressive to the point where the crowd has booed him. I'm going out on the limb here and picking Demian Maia in this one. Some people are going to think I'm crazy, but Anderson Silva was taken down by Travis Lutter, a decent ground fighter and Silva had a bit of trouble on the ground until Lutter gassed and was submitted. Demian Maia is more than a decent ground fighter, some would say he's the best Brazilian Jiu Jitsu practitioner in the UFC. I believe he will surprise MMA fans by finding a way to get the fight to the ground and beating Silva. Demian Maia by submission late in the third round. The other title fight is BJ Penn vs. Frankie Edgar. This one is a no brainer. BJ Penn is a beast at 155. While Frankie Edgar has a nice record, and some nice wins to his name, it just doesn't compare to BJ Penn's experience. Experience and BJ Penn's superior technique will prevail. BJ Penn by ref stoppage in the 4th round. An interesting fight on this card, is MMA legends Matt Hughes and Renzo Gracie returning to the cage after a long lay off and once again testing their skills. I think this one will go to the judges since it's a non title fight and will only be going three rounds. They're both too experienced to get knocked out or submitted. Should be a fun match up to see though. I'll take Renzo Gracie in this one by judges decision. All in all, it's sure to be a good night of chingasos! The D'arce submission a.k.a Brabo choke is always a crowd favorite when seen in action. If you come at a submission specialist like Renato "Babalu" Sobral with a week takedown attempt, be prepared to tap out or pass out. No chingasos needed when the D'arce choke submission is applied properly. The fight will come to an end quickly. Now that you've seen the D'arce/brabo choke submission in MMA action, here's a free video instructional on how to get it done. The D'arche choke submission is an advanced technique. If you're in the Los Angeles area, stop by one of the great MMA (Mixed Martial Arts) Gyms and get some hands on instruction. Check out our Los Angeles MMA Gyms article. The clinch is a misunderstood position/technique by the casual MMA fan. When they see this happen(the clinch) in an MMA fight they usually start booing or they might believe nothing substantial is happening. That might be true some of the time, but most of the time the fighters are trying to gain an advantage. Randy Couture and Dan Henderson are known for using the clinch to their advantage and being very successful with it. A few months ago, Couture at 46 years old was able to contain the much younger Brandon Vera and pull out a victory by dominating the clinch position and not allowing Vera to use his Muay Thai striking ability. Here is a video of Dan Henderson going over the basics of the clinch technique/position. Here is a highlight video of Dan Henderson using the clinch, and the threat of clinching to his advantage. Check it out! Plenty of chingasos as well. The armbar is a staple submission for any MMA practioner. It can be set up in a variety of methods, but even the most basic set up can render results. Even in the highest levels of competition, the armbar submission is still effective and can end an MMA fight quickly. Check out the free MMA fight video between Fedor Emelianenko and Mark Coleman in Pride FC a few years back. Coleman was off to a good start, and then.....Check out the video. Here is an instructional on one way to set up the armbar submission. Even for the advanced, it's a good idea to go over the basics. Check out the free video. Here's a free MMA video of Fedor going at it again and finishing Matt Lindland with a nice armbar submission. Great technique! Check out this free MMA video of a fight between Joachim Hansen and Kultar Gill. Joachim shows off some nice transitions before finishing with the armbar submission. If you're a fan of the armbar, here's another video showing off the submission technique. This fight took place at an amateur CAMO sanctioned MMA event in Pasadena. Here's a recent fight showcasing the armbar submission. It went down at Strikeforce. The fight was between Shane Del Rosario and Lavar Johnson. <br><br>If If you want to learn the armbar submission and more Mixed Martial Arts techniques and you live in the Los Angeles area, check out Los Angelels MMA Gyms.